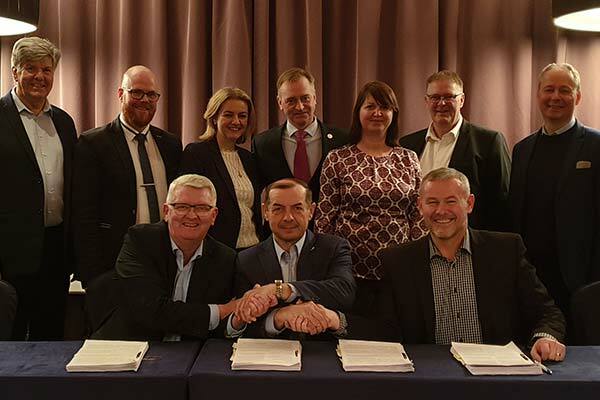 Icelandic food processing leader Skaginn 3X and refrigeration systems compatriot Frost have secured a multi-million dollar deal to supply state-of-the-art processing and chilling equipment for a super trawler in Russia’s Collective Farm Fishery by V.I. Lenin (RK Lenina). 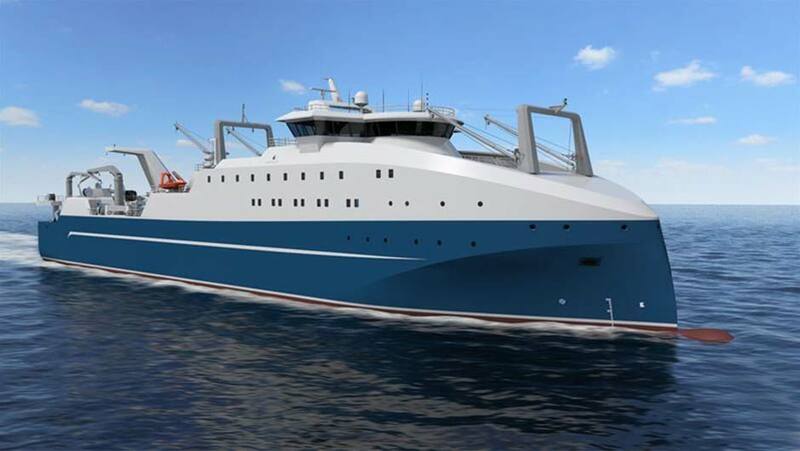 The new 121-meter, multi-species factory trawler is scheduled for delivery by the end of 2022, the two companies revealed, with Skaginn 3X and Frost winning the contract through their membership in the Icelandic maritime consortium Knarr Rus. The vessel, which will be built in Kaliningrad at the Yantar Shipyard, is made possible by the Russian government’s investment program, rewarding local companies for the steady overhaul and renewal of the country’s fishing fleet. Under the new strategy, Russia aims to increase the fishing sector’s contribution to the overall economy, introduce wide deployment of cutting-edge fisheries technology and maximize production output and overall quality. “The new processing equipment from Skaginn 3X and Frost, supported by the superior design of the vessel itself, clearly demonstrates our commitment to innovative thinking, modern fishing methods and processing,” RK Lenina chairman Sergey Tarusov said. RK Lenin’s new super trawler will be unique, combining the capabilities of twin trawling for multiple fish species, incorporating both conventional winching in addition to custom pumping systems for bringing fresh catch onboard. It will also be able to process fish caught by other vessels, boasting a cargo space of 5100 cubic meters and a processing capacity of 450 tons per day. 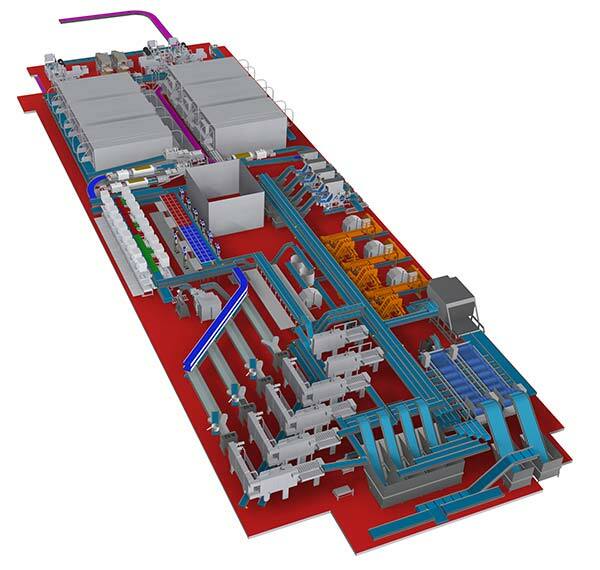 Skaginn 3X will deliver the vessel’s processing deck fully fitted for multi-purpose processing, grading, gentle handling and fast and reliable packing, delivering up to ten batches per minute at high speeds. The design also allows for complete elimination of vertical plate freezers, enabling greater flexibility and a complete closed refrigeration system for future demands for a safe work environment. Frost will deliver the vessel’s complete cooling and freezing solution, meeting the highest quality and ecological standards and demands, in addition to designing and delivering the rapid seawater cooling system for the bunkers, securing optimal product quality. Skaginn 3X and Frost recently teamed up to supply and install its equipment in the world’s largest and most automated pelagic plant for Faroese processor Vardin Pelagic, and this new joint venture continues to break the mold—the two firms continue to be the only global players able to provide these kinds of advanced trawler solutions, allowing production capacity to easily exceed 100 tons within the confined space of a vessel.